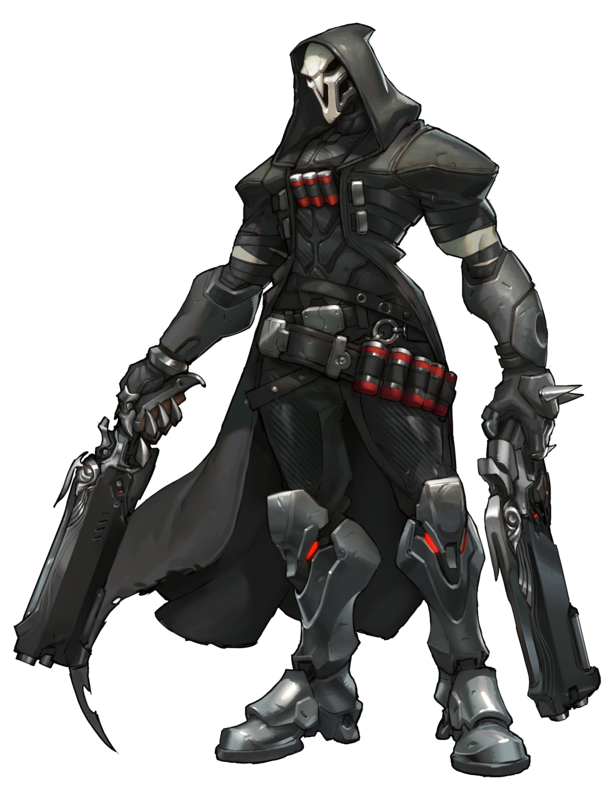 Reaper is one of the playable characters in Overwatch (2016) by Blizzard Entertainment. He is classified as an offense Hero who fights using “Hellfire Shotguns”, can transform himself into a wraith, is able to teleport and attack multiple opponents. 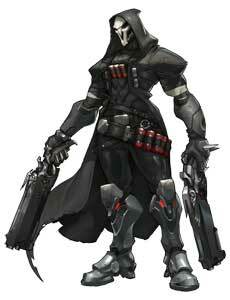 Reaper is known to be a mercenary and terrorist, his true identity is unknown. The Reaper is an extremely volatile mercenary, a ruthless and remorseless killer responsible for terrorist attacks across the world. He has fought in many armed conflicts in the last decades, showing no loyalty to any cause or organization. 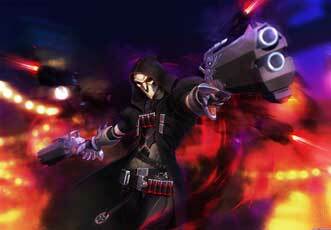 Survivors have described a black shadow ghosting unscathed through the most hellish battlefields. 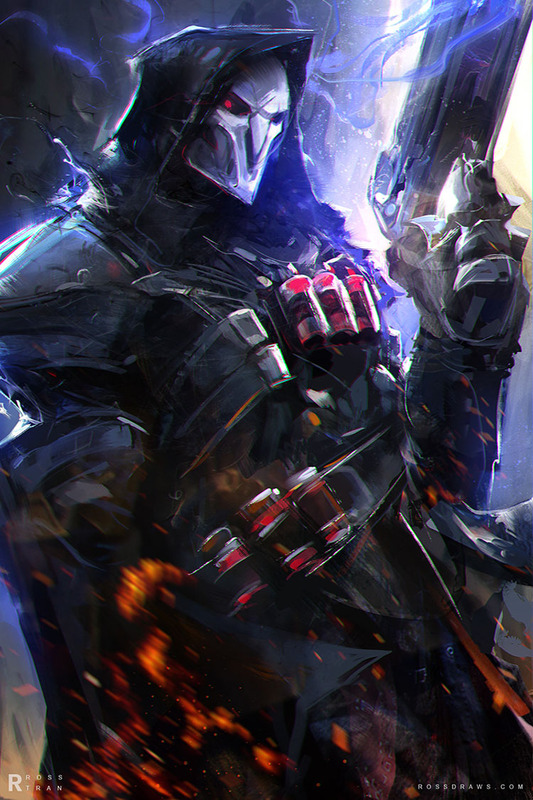 The few bodies recovered of those he kills are pale, empty husks drained of life, their cells showing signs of intense degradation. 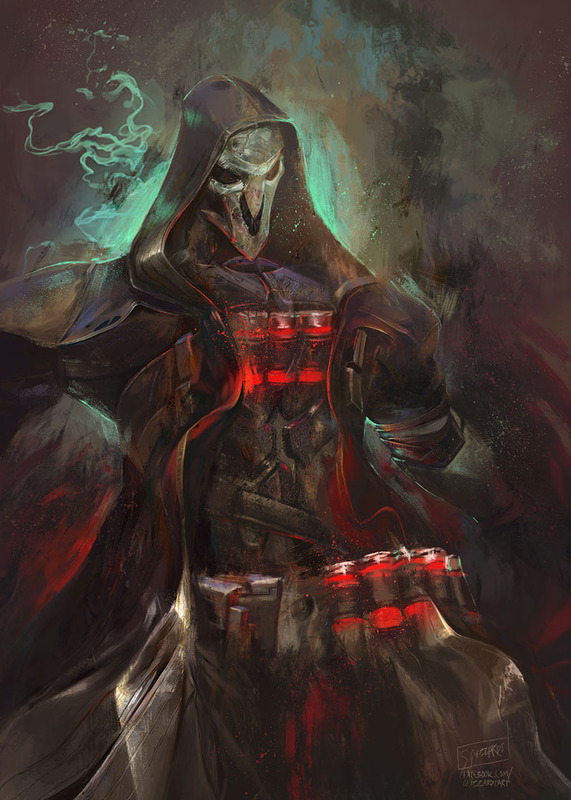 It is possible that he is a byproduct of failed genetic alteration which forces his cells to simultaneously decay and regenerate at a hyper-accelerated rate. Those attempting to track his movements have begun to see a pattern in his appearances. 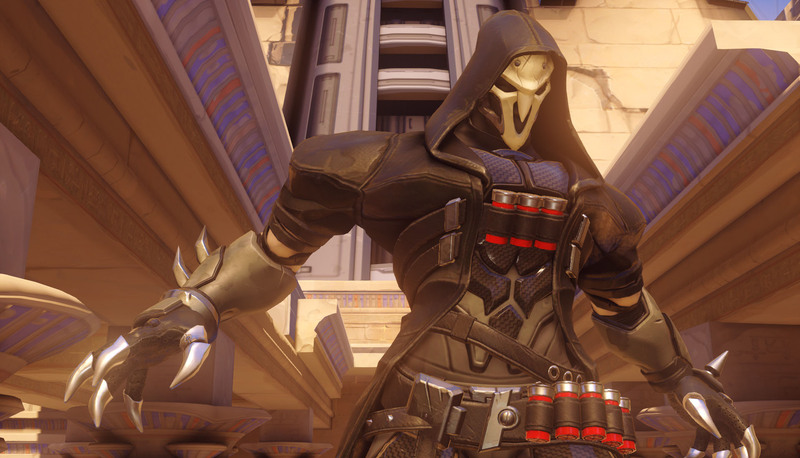 They believe that Reaper is hunting former Overwatch agents and systematically eliminating them.